According to the use of plants and plant products to man the grouping is made. It is generally applicable to the grains obtained from the members of the Family Poaceae. Rice, Wheat, Maize, Sorghum, Ragi, Barley, Pearl Millet, Fax tail millet, Rye, Oats etc come under this group. Principal source of food for man and animals. Botanically the characteristic fruit of the family Poaceae is caryopsis. 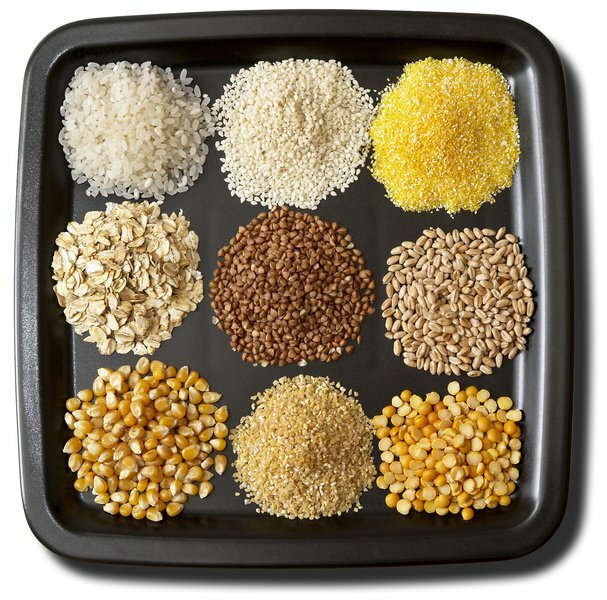 Millet is generally used for the member of small grained cereals which are of minor importance as food. Few species of plants other than those of poaceae which produce small grains and used as food as in the of cereals. They are pseudo cereals. Buck wheat( Agropyrum spp – Chenopodiaceae, grain amaranthus – Amaranthus spp Amaranthaceae, Quina, (Chenopodium quinoa – Chenapodiaceae). The major cereals are paddy, wheat sorghum, ragi, maize , pearl millet, and the minor millets are fox tail millet, little millet etc . minor cereals are of important space of food in drought prone rural areas. Tillering habit is more common in cereals except in maize and sorghum. The infloresence is panicle, which may be compact or loose. The grain is caryopsis. Cereals supply food to man and straw to animals. Grain contains starch as the major components. Rice is the staple food for nearely half of the world population. Contains large proportion of starch wheat contains good preparation. Bearly is used as malted food and flourn is processed in the form of light food. Seeds of leguminous plants. 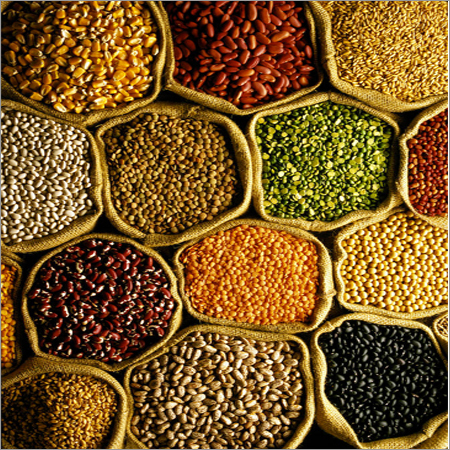 Pulses supply protein, chief source of in vegetarian food. Oil seeds are important both for consumption and for industrial purpose. In human diet, fat is supplied by oils which give the necessary energy for metabolism besides adding taste to the food. Oil is used for medicinal purpose and also for preparation of soap,. cosmetics, and lubrication. castar and coconut oil are the important industrial oil. centuries. In Eurupe, Canada and USA sugar beet is the source of sugar. Sugar beet was not prominent in tropical countries because sugarcane give high tonnage of yield . The other sources are palmyrah, coconut and date. The tapped juice of the plants are converted into palm gur, the cheap source of sugar to the people sugars, besides being used as food sweeteners are rich source of energy. 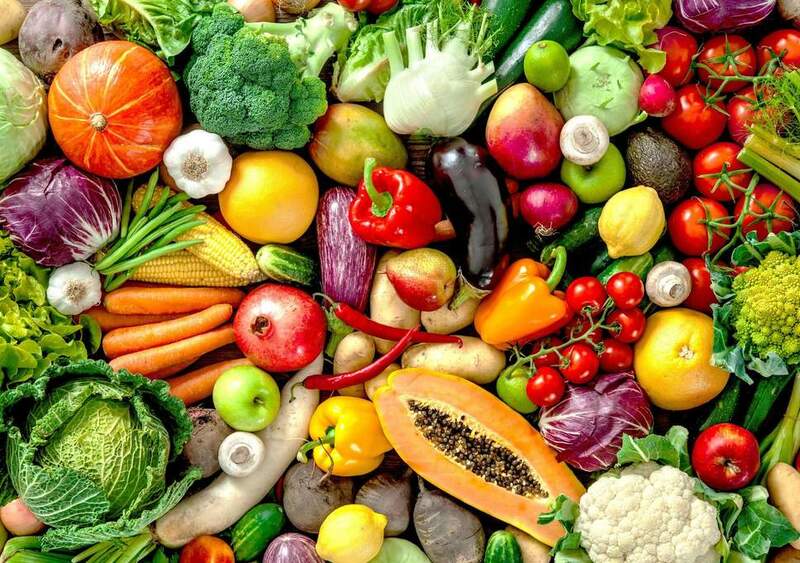 In Indian diet, cereals supply the bulk of starch as in rice, sorghum, maize and other cereals, Starchy food is also obtained from sweet potato, tapioca, and sago palm, Starch is also an industrial product used in confectionary, textiles, stationary and cosmetic industries. Next to food clothing is the most important one and is obtained brown wood pulp for the manufacture of gunny bags hessions cloths, and packing material. The fibres of Jute and Mesta are of importance. Twines, cordages and ropes needed in daily flowers in carpet, mats, brushes, and for stubbing purpose such cotton is used . Coffee , tea, cocoa are important beverages and they have stimulating effect. Fruit juices like lemonades, orangeades, apple pineapple and mango juices constitute the soft drinks. Coffee and tea are commercial crop grown in plantation and exported. Coco is gaining important in beverages and confectionaries. come under narcotics, Narcoties are substance which produce a stimulating or drowsy effect. They relieve pain and produce sleep. Mild stimulating preparation , adjuncts to fermentation, flavouring ingredients to beverages, and mild poisons are also called narcotics. When substance are smoked be cause of the stimulating effect of tobacco they are called as fumitories. Substance which are chewed as the betel leaf and arecanut for the mastecatories. Tobacco comes as Narcotics, Fumitories and masticatories. The alkaloid present in the plant parts are responsible for creating the effects. Drugs are obtained from large number of plants are called medicinal plants. A variety of plant products are made use of as food adjuncts to add flavour, aroma and taste, is spices and those give aroma and flavour is condiments. Pepper, cardamom cloves, chillies, turmeric ginger, onion, and garlic. The species and condiments have essential oils which are responsible for the flavour and taste. The rubber plantations in tropical countries, given the species, Hevea brasiliensis a plant introduced from Brazil Latex is obtained from the plant and processed as used as rubber . Rubber is also obtained from Manihot glaziovii Cryptostegia and Taraxacum. includes fodder and postarages; Guniea grass Napier grass, Lucerne, fodder cholam, fodder Maize etc., are harvested and fed to animals. The grasses and legumesare grown in arable land and left for grazing of animals come under pastures. The foliage of number of trees and shrubs which are edible to animals form the another source of forage. ploughing them in situ is called green manuring. daincha, sunnhemp, pillipesara, kolingi, indigo and Sesbania speciosa the green lopping from shrubs, trees incorporated in the field as from Ipomoea cornea, and Gliricidia form the green leaf manuring. Usually green manuring plants are popilonacious type which fix nitrogen in the soil by the formation of bacterial nodules and higher ‘N’ content in leaves and shoots.